You will find a country that is in Europe, but is preserved for connoisseurs its magical places, secrets and beauty. You will visit its capital Sofia with several millennial of history. It has experienced both the glory of the Roman and the decadence of the Ottoman rule, to become a dynamic modern city in present times. Day 1 – Arrival in Sofia. 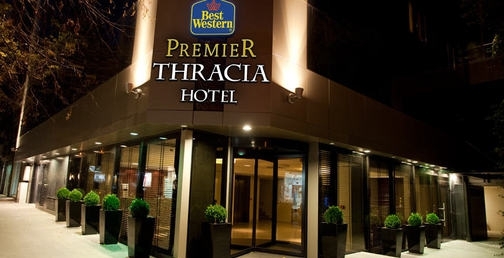 Transfer to the Best Western Premier Thracia hotel in the center of the city. City tour on foot of the central part of Sofia about 3 hours with French speaking guide( if the arrival is not to late ). You will see St.Sophia church dating back to 5th-6th century of our era, a monument of Bulgarian medieval civilization that gave the current name of the town. Visit the largest cathedral Alexander Nevski with its gilded dome, the rotunda St.George 3th-4th century and the city fortress and you will feel the atmosphere of the city, which history dates over 5000 years ago. Day 2 – Breakfast. Departure to Bansko. If the visit is between 8-th and 13-th of August you will have the chance to enjoy the International Jazz Festival of Bansko 2015. From big band and standard jazz, to blues, bebop, swing, dixieland and “free music”. Otherwise Bansko is a charming city, which boasts with its architecture. Bansko has preserved the Bulgarian literature throughout the 5th century of Ottoman rule and faith. Here is preserved church of 16-17 century. The"new" church is also interesting, completed in 1835. Its walls are 1.10 m thick and covered with a wall paintings. Tranquility of her garden wall is provided by four meters in height. Bansko has 112 houses, which have been declared architectural monuments. They date from the mid 18th century to mid 19thcentury. These houses are built to withstand siege - with thick stone walls on the first floor with thick and reinforced doors and a secret room. Overnight in 4* hotel in Bansko . Sight seen tour of the city with visits of the Velyanova house ( from 18-th century ) and the Permanent exposition of icons. A relaxing day in the SPA of the hotel. Or ½ day excursion to the Natural Park Belitsa with its dancing bears. They are collected at the initiative of Brigitte Bardot, bears, which were exploited in street performances. They are returned into their natural environment - the mountains. Lunch on the spot. Price 25 euros for the trip at a minimum of 5 pax. Overnight in Lucky Bansko hotel. Checkout and departure to the Rila monastery -the largest monastery in Bulgaria. It was founded in the 10th century. It was declared a monument of world culture and is included in the UNESCO list. Visit the monastery : Hrelyo’s Tower, Ethnographic Museum and Revival Period Guestrooms, Farming Equipment of the Monastery ( English speaking local guide). Travel to Sofia. ( City tour by foot if the first day the arrival was to late ). Time to explore the city and to make shopping in one of the big malls. Or 1/2 day excursion to Visit the Boyana Church, located on the outskirts of Sofia. It is a true masterpiece of the Bulgarian Middle Ages. Its frescoes dates from 1259 year and it was declared by UNESCO a World Cultural Heritage. You will see real treasures in the National History Museum, located in the government complex of Boyana. Its rich collections are various of ages, ranging from the Paleolithic era through to present days. You can view items of the historical, numismatic and jewelry collections and the typical Bulgarian clothing of past eras. ( 35 euro/ pp including the entrance fees for the Boyana church , the National historic museum and the local guides in English and the transportation with minibus). Day 6 – Breakfast and check out. Transfer to the airport. The meals and the drinks not included in the program.